Tether, the long-controversial stablecoin pegged to the U.S. dollar, has just generated $250 million dollars worth of tokens. Tether is right back at it, generating $250 million dollars worth of Tether with a few clicks, as of 11:20 AM PST today. Although this is just breaking news, the ‘granting’ of large amounts of Tether has been a topic of controversy for many in the community in the past. 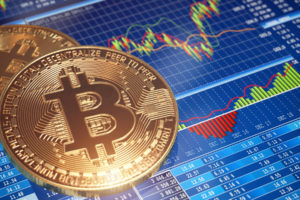 The most recent granting of Tether might have caused the market leaders like Bitcoin and Ethereum, to recover by over 1% in the minutes following the Tether transactions on the blockchain. 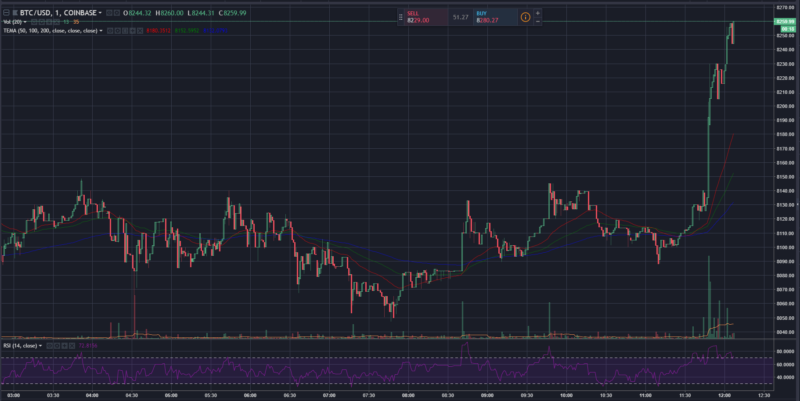 The large green candles seen after 11:30, show the minutes right after the granting of $250 million dollars worth of Tether tokens. Bitcoin quickly ran up over $150 dollars in just under the 20 minutes after the ‘printing’ of the Tether, with most altcoins following. Ethereum also went up by over $20 dollars in the same time span. Some suggest that Tether has been using their token as a way to manipulate the price of cryptocurrencies. Many have also brought to question the legitimacy of funds backing Tether tokens. Rightfully so, as Tether has been slow to produce the right documentation of their holdings. 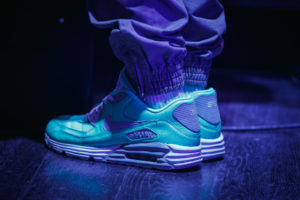 Earlier this year, the Tether foundation fired their auditor for reasons which are still unknown, a move which brought further suspicion to the organization. 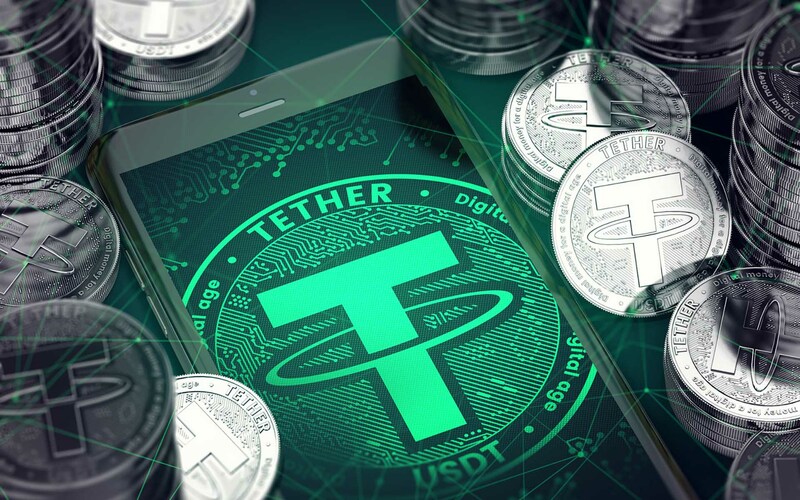 With the addition of $250 Million worth of Tether, USDT supplies now number over 2.75 billion. It is crazy to comprehend that there are over $2.75 billion real US dollars backing this token. But until Tether shows that they actually have that amount of money sitting in their bank accounts, community distrust in this specific stablecoin will continue. Is Tether Losing its Grip on The Stablecoin Industry? The landscape may begin to change for Tether, as competition has been showing up in full force to combat the monopoly which Tether currently holds on stablecoins. Recent news has indicated that other companies in the space, like Circle, TrueUSD, and Basis, have begun to develop their own stablecoins. Newly founded projects like TrueUSD have already proven themselves to be good alternatives to Tether. However, TrueUSD’s listing on Binance was too much for the price of the coin’s liquidity to handle, as prices reached over $1.30 on Binance within minutes of the listing. Binance quickly had to reverse the listing of TrueUSD before announcing that they would delay the trading date to the 22nd of May. The project still shows promise, through the regulatory compliance which TrueUSD has been known for. Unlike Tether, TrueUSD can actually be claimed for US dollars through a smart contract system, further adding to the validity of the token and the project. In other news, Goldman Sachs backed Circle has announced a stablecoin startup that will attempt to also peg the value of a cryptocurrency to the U.S. dollar. Circle plans on creating a dollar that is transparent, efficient and virtual using the blockchain to facilitate transactions. Unlike Tether, Circle customers will have to hold the money required to produce the same amount of this new stablecoin. It is clear that Circle plans to improve on what Tether started by creating a very similar cryptocurrency but with a higher level of transparency and regulatory compliance. It seems that Tether will be losing market dominance quick, as more and more stablecoin alternatives arrive for consumer consumption. What do you think about the legitimacy of Tether? Do you think that they actually have the funds to back up the tokens granted? We would love to know! Please let us know in the comments below.